For a series set on an island, I guess it's acceptable to have an episode that pretty much just treads water. Hawaii Five-0 Season 8 Episode 24 was a blend of international intrigue and illegal tactics, of emotional action and wacky co-stars. And it ended with a scene that may or may not lead to tying up a dangling storyline. 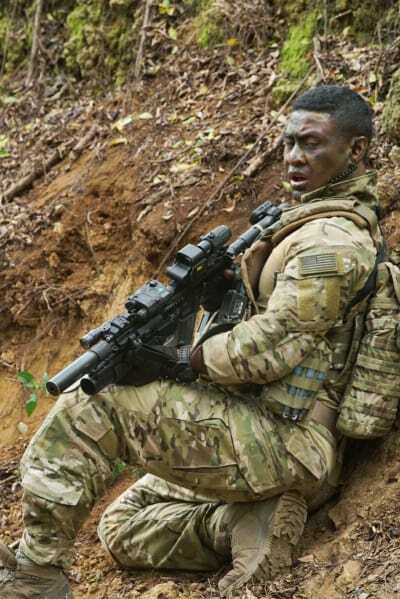 The better of the two storylines was having McGarrett and Junior temporarily re-enlist for a SEAL team mission in Nigeria. 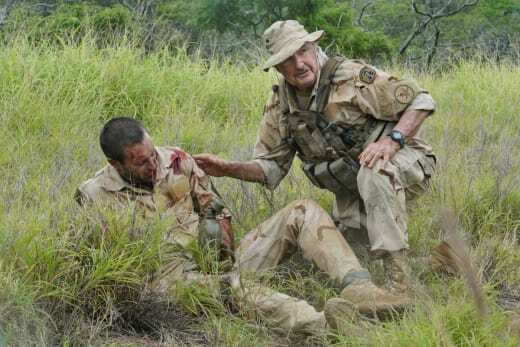 We got to explore again the relationship between McGarrett and Joe White, who trained him a SEAL and saved him on a mission gone wrong in Afghanistan. 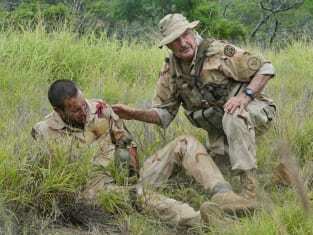 Flashbacks of their time in Afghanistan, when Joe got a wounded McGarrett safely out of the country, revealed it to be a seminal event for Steve. Joe encouraged him to act on his feelings about Catherine and to make up with his father, both of which actions he was glad he later did. 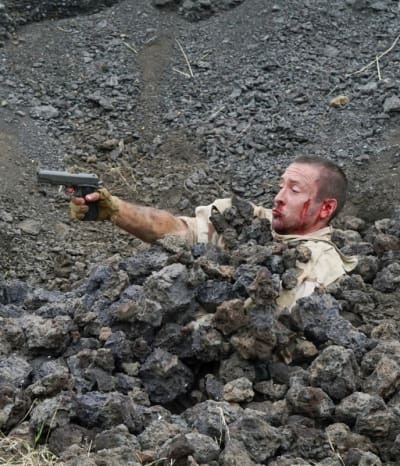 McGarrett, and the viewers got to find out that Joe had been keeping an eye on him as a favor to Steve's mother, who he thought was dead at the time. First, how hard would it have been for Junior to just tell McGarrett before leaving that he got recalled to active duty? Then Steve wouldn't have had to call everyone in to help figure out what had happened to Junior. Then, shortly after causing unnecessary concerns with his secretive departure, Junior turned around and relayed classified information with McGarrett. He was right to do so in this case, since he knew somehow, probably from war stories, how much Joe White meant to McGarrett, and that he'd want in on the operation. And that Steve had the pull to bull his way onto that transport, protocol be damned. Actually, shouldn't "Protocol be damned" be the Five-0 motto? 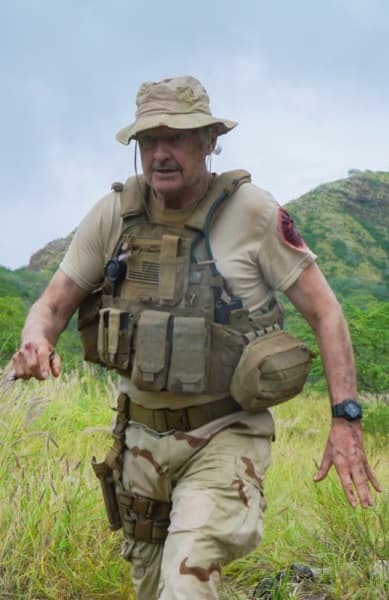 Good thing McGarrett has taken part in all those off-the-book outings since he joined the task force to keep him in military shape so that he could hold his own with the younger SEALs. I'd kind of lost track of what had happened to Joe as Terry O'Quinn would be unavailable thanks to a series of short-lived TV shows (666 Park Avenue, Gang Related, Secrets and Lies). Private contractor kidnapped in a war zone was a perfectly logical explanation. But Joe, back for his 15th appearance, is always welcome. Rescuing Joe and any hostages was a secondary component of the mission, which targeted a weapons dealer. Do anyone honestly believe that events would happen in that order, however? Instead, we got a typical McGarrett maneuver, him "surrendering" to pirates to set them up to be cut down by the SEALs. It was no big deal that he had to take one in the vest to pull that off. McGarrett had to be thankful for the tunnels, about which Joe had overheard, which gave them a way to survive the airstrike. By the end, the McGarrett-Junior dynamic had changed. Early on, McGarrett wasn't ready for Junior to move out. But, afterward, he was ready to let Junior step out on his own. 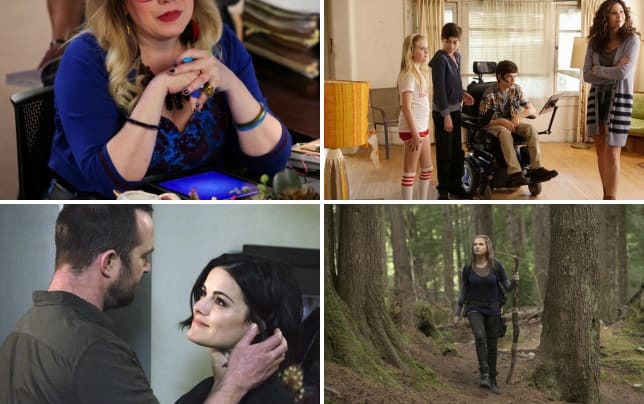 Related: CBS Renewals: What Big Show is Missing? It was cute that Noelani used Eddie to help set up a date with a hunky rescue-dog owner. Getting a glimpse of her personal life was good. Just don't let Eddie go anywhere. How about a formal adoption to make sure Eddie stays? After all, while Eddie may chew things he shouldn't, he doesn't chew the scenery, unlike everyone in the second storyline. A high point of that storyline was when Tani and Grover suggest they switch places with Hirsch and Kamekona, and we got to see the former cleaning a crime scene and the latter involved in a shootout to "Bad Boys." Hirsch and Kamekona, Hirsch's silent co-owner, made a great comedy team. Still, it was frightening that they procured the DNA evidence and the proof the paintings were authentic. The problem is Hirsch had zero authority to be at the Wagner home the second time he went back. So, any evidence he gathered would have to be considered "the fruit of the poisonous tree," to use a TV legal concept. It's a good thing that Grover and Tani were able to coax a confession out of Wagner's mistress because otherwise that evidence would never have stood up in court. It was good to see Hirsch doing something good for others near the end, when he flew, at his own expense, to return the paintings to their original owners. Will Tani's finding a handgun at Adam's house be a part of the finale? I'd like to think not. First, after being deputized by McGarrett, of course, Adam has a gun at his home. Second, I can't believe anyone involved with Five-0 would suspect Adam in Noriko's death. To catch up before the finale, watch Hawaii Five-0 online. Which team up did you enjoy more: McGarrett and Junior, or Hirsch and Kamekona? Did you enjoy seeing Joe again? Is Adam guilty of anything more than bad judgment? McGarrett: You took a pretty big risk doing what you did. Junior: If I got kicked out of the Reserves, I like to think I have a pretty cool job to fall back. on. Permalink: If I got kicked out of the Reserves, I like to think I have a pretty cool job to fall back. on. Goodbye, buddy. Good work today. Permalink: Goodbye, buddy. Good work today.